A huge welcome to our latest bunch of newly qualified pharmacists across Northern Ireland. After 5 long years of study you have made it! The next part of this roller-coaster ride is to land yourself a permanent job. Years ago this was a given, you graduated from university and more or less walked into employment. Unfortunately, the pharmacy industry has changed big time. Pharmacy has become a competitive industry. With 200+ students graduating from both QUB and UUC combined each year, it is getting more and more difficult to find a job. Since 2010 I have seen competition for jobs increase dramatically and it is not uncommon for up to 30 pharmacists to apply for one position. Apologies for the negativity here but I just want you to understand the reality of the current market especially within Northern Ireland. 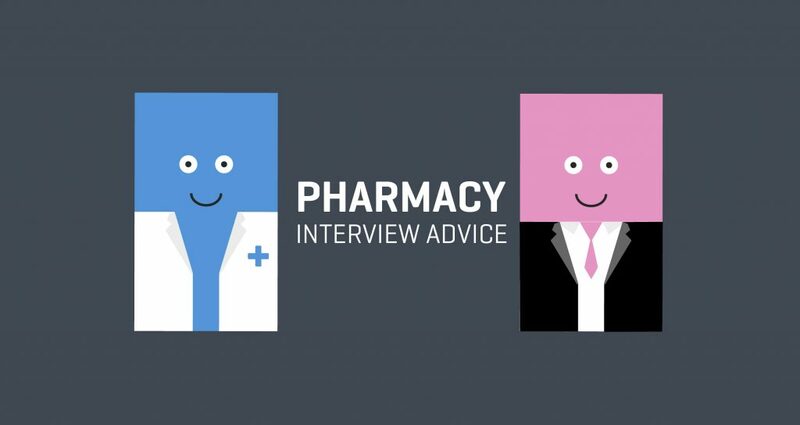 The aim of this article is to give you some interview tips to ensure that you ace your pharmacist job interview. Research the company you are interviewing for, know their mission statement and core values. Even if they don’t ask you a direct question relating to this; try to throw it in somewhere. It should get you major brownie points! The best candidates really go out of their way to access this information and can even visit the pharmacy prior to their interview to ensure they have the most valid information. Review the job specification. Some employers will have the job spec sitting in front of you in the interview; if this is the case then always try to relate your answers back to it. However, this doesn’t always happen so make sure you have good knowledge of what your role will be prior to the interview. Job specifications are the starting point used by employers to create interview questions so can really help you with interview preparation. Be prepared to sell yourself. This is something that most of us Northern Irish are not so good at – we’re a pretty modest bunch of people! Write down a huge list of your knowledge, skills and experience that will make you good for the job. Read over this a thousand times and say it out loud prior to the interview. You will be cringing at yourself but it’s the stuff pharmacy employers want to hear! I find Pre-Registration Pharmacists in particular tend to over-emphasise their university education and under sell the skills they have learnt during their training year. Practise, practise, practise. Write down potential questions you might be asked and answers to go with them. Get your friend, lover or family member to ask you these questions. The selling yourself question: we’ve already discussed this in the preparation section. I can’t reiterate enough how important this is. Competency based questions: these are the questions to help employers decide who the most desirable candidate is for the job. You may be asked questions about teamwork, responsibility, dealing with conflict, your career motivation, decision making, communication, leadership, trustworthiness, ethics and problem solving. This is when it’s a good time to know the job specification and company’s core values so you can answer the questions appropriately. For competency based questions it is really important for you to describe clearly what YOU contributed to the example and how this had an overall positive effect on the situation. Clinical scenarios: these are the questions to show off your clinical skills. Take your time and imagine the scenario actually happened to you in your pre-reg year or on a locum shift. Go through exactly what you would do from start to finish. And don’t forget, it’s okay to ask for the question to be repeated just to ensure that you haven’t missed anything! Examples include: “You have noticed a significant medication interaction on a prescription- what do you do?”, A patient keeps returning to the pharmacy to buy over the counter painkillers – what do you do? “How would you educate a patient newly starting on Warfarin? Trick questions: Sometimes employers can use trick questions to see how you can handle pressure and also reveal information you may not want to reveal at this early stage. Examples include: Do you have any salary expectations for the role? Never quote a number as by doing so you can restrict yourself. I recommend stating your primary focus is on determining if you are right for the role. However, outside this know your value and be prepared to ask for it. Can you name your 3 strengths and weaknesses? Everyone has weaknesses, the best candidates are always able to turn their weakness into a positive. Example being my personal weakness is that I am a perfectionist however this guides me daily as I always strive to be the best. Where do you see yourself in 5 years’ time? Obviously your answer should depict a higher progression role within the company and not anywhere outside it. Dress to impress. While your appearance does not determine how good a pharmacist you are; it is important that you dress smart as this is one of the first things that an employer will notice about you. And don’t forget to smile! Plan ahead. There’s nothing worse than arriving flustered to an interview. Know where you’re going and leave yourself enough time to get there. Make sure you have everything with you that you need e.g. CV, certificates etc. Your letter/ email of invitation to interview should document everything you require. Ask questions. Prepare some questions to ask the employers – this will make you seem much more interested in the post. I do not recommend asking questions related to the salary or amount of holiday time available. Ask for feedback- no matter how the interview went- this ensures you will always be better next time around. If you need more advice on sourcing locum pharmacy, or permanent pharmacy job, sign up to Locate A Locum for free! Check out our top tips for finding locum pharmacist work! If you're interested in permanent pharmacy positions, check out our new Careers Website!